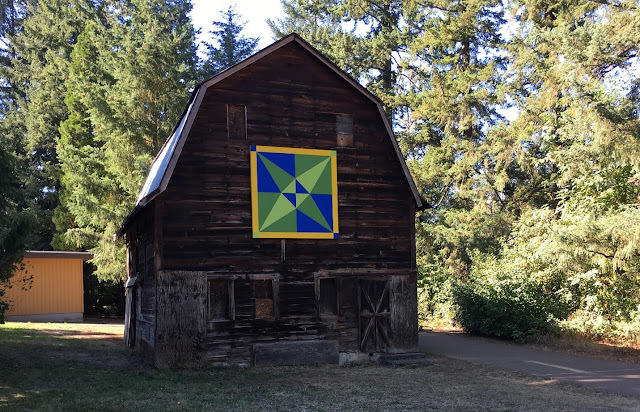 #27 on the Quilt Barn Trail is now installed on its great old barn, circa 1940's, at 5855 SW Nyberg Lane, Tualatin. This is the Brown's Ferry Park, and is a short walk from the parking lot. 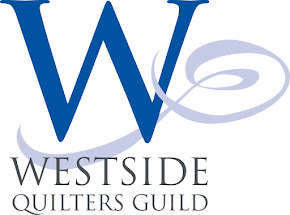 "Crossed Canoes" is the name of this traditional quilt block, chosen because a quiet stretch of the Tualatin River is just behind the trees. In the summer, you can canoe or kayak the river here, bringing your own or renting one. The Tualatin River Greenway Trail for walking or biking runs along the river for a few miles and was just opened in 2016. It is seen just to the right of the barn and is about at the easternmost end of the trail. Photo courtesy of City of Tualatin.